This inviting kitchen has a truly transitional feel with a combination of contemporary and traditional elements, clean lines and a lot of natural light. The owners of this Newbury Park home were a delight to work with! They are enjoying their new spaces, and shared the following feedback for our readers. 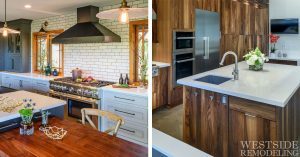 Mixed wood tones — natural wood is making a huge comeback in kitchen remodeling. A mix of warm woods like walnut and quarter-sawn oak are being used for cabinetry, countertops and flooring. 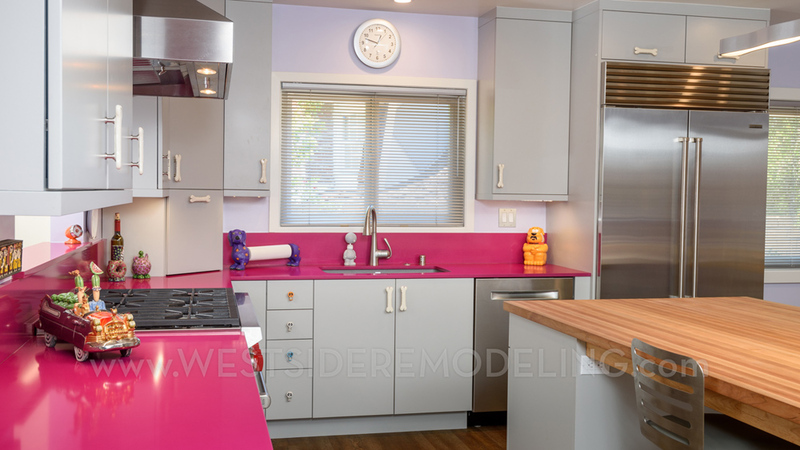 Remodeling specialist and pug owner, Alana Busse enjoyed designing this unique, custom kitchen created to showcase the homeowners’ passion for dogs, art, and bright colors. 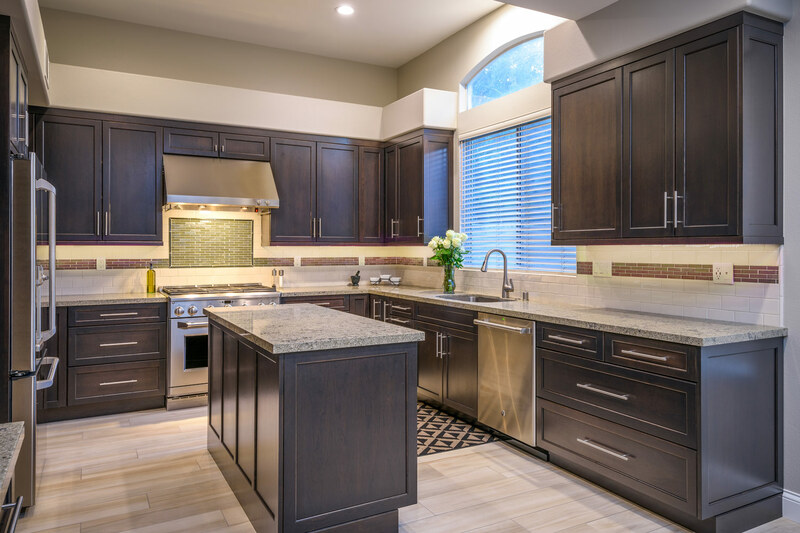 In the early stages of planning a kitchen or bath remodel, we always suggest start with selecting the cabinetry. 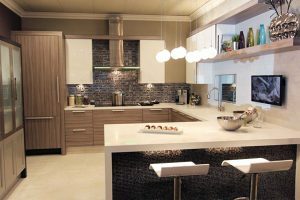 Cabinets will likely be the biggest expense in your remodel, and the style, color, and arrangement of your cabinets ultimately influence the style of the space. 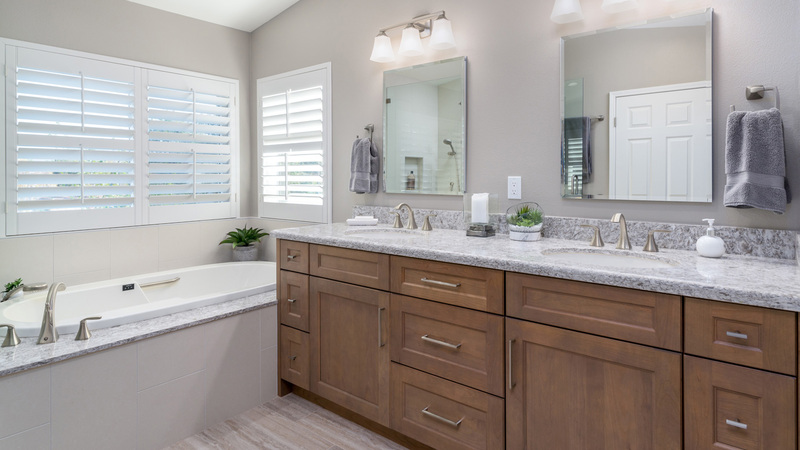 Take a look at a short video from one of our wonderful clients showcasing their master bathroom and master bedroom remodel. Why Do I Need a Designer for My Remodel? I Already Know What I Want! From time to time customers will tell us they don’t need our design services because they already know what they want. 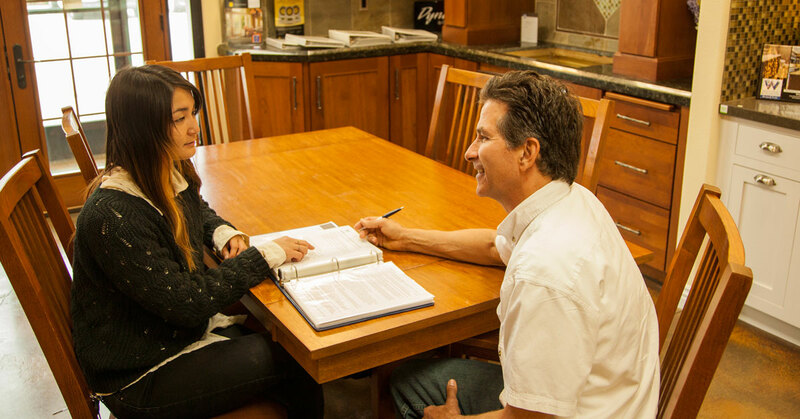 The first floor of this client’s Camarillo home was in great need of a renovation. 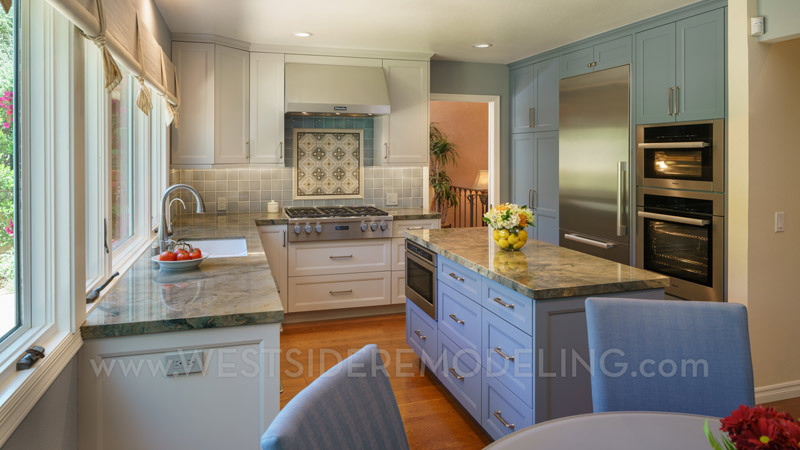 We redesigned this house with a cohesive and inviting look, adding rich cherry cabinetry, sophisticated quartz countertops, and gray tile flooring throughout the downstairs rooms. 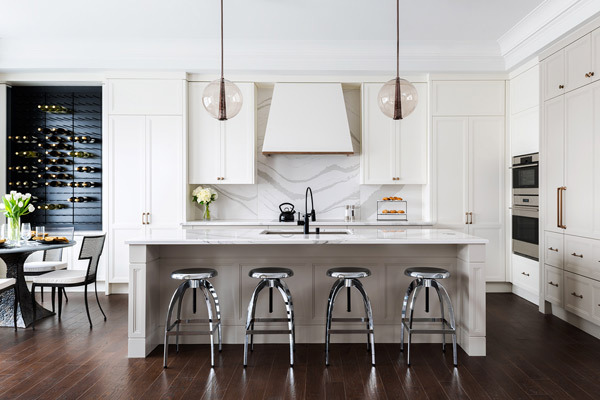 Combining a mix of textures is very popular for kitchen and bath remodeling – especially in all white spaces where the extra elements can add much needed interest. Instead of tile or other materials, a quartz countertop slab continued from the countertop up the wall offers a simple and elegant option for your backsplash. Laura Welby on Why Do I Need a Designer for My Remodel? I Already Know What I Want! 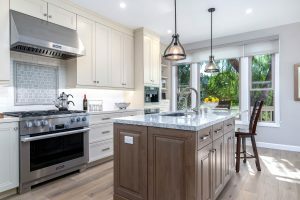 We specialize in all aspects of design-build remodeling, including custom kitchens, bathrooms, additions, outdoor living spaces, and new construction. Speak with a designer today! Website Design by Vertical Rail | ©2000-2019 Westside Remodeling, Inc.